Media players are often used by galleries and museums to display video works. There are many advantages to using a media player including automatic playback, looping and synchronisation. The cost of media players and the expertise needed to set them up varies widely. It is important to take these factors into consideration when deciding on a model to buy. This resource will guide you through some common options on the market, including Raspberry Pi, Lupa, Brightsign and Mac Mini and the key factors to consider when deciding what to use for your exhibition. 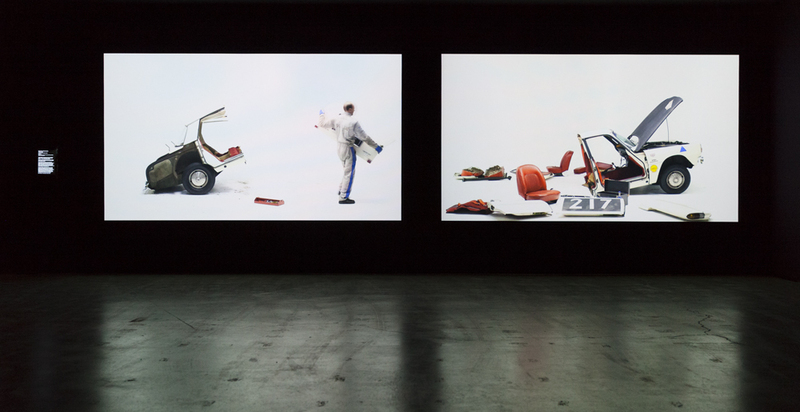 Image: Claire Healy and Sean Cordeiro, The Drag (installation view), UNSW Galleries, 2015. Image courtesy UNSW Galleries. Photography by Silversalt.